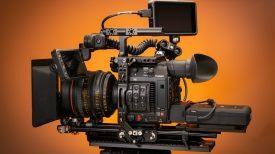 Chinese cinema camera company Kinefinity have now shipped a good number of production KineRAW S35 cameras to shooters in China, although it has still to launch in the rest of the world. I’ve been lucky enough to receive mine although I’ve been so busy shooting other projects that I have yet to use it much. Like the Red One when it was launched, the KineRAW is undergoing continual improvement even after launch. The newer firmware versions are said by Kinefinity to be more stable with image quality optimised for 640 ISO and its multipliers (1280, 2560 etc.) Firmware version 7997 was made available to download this week – this is an essential update for users. The other big news is that they have an electronic EOS mount with aperture control in the works. This should be due in January and is said to work with most EOS lenses, with aperture control via a control knob on the camera body. The aperture value will be displayed on the camera’s LCD screen. The adapter is powered and controlled via the camera and is connected with a lemo connector on the front of the body. Sadly, image stabilisation will not be supported. But for shooters with a lot of EOS glass this adapter makes the KineRAW a much more attractive proposition. The S35 also now has an iPad control option via wifi. KineRAW are submitting their control app to the Apple App store and it should be available to download soon. 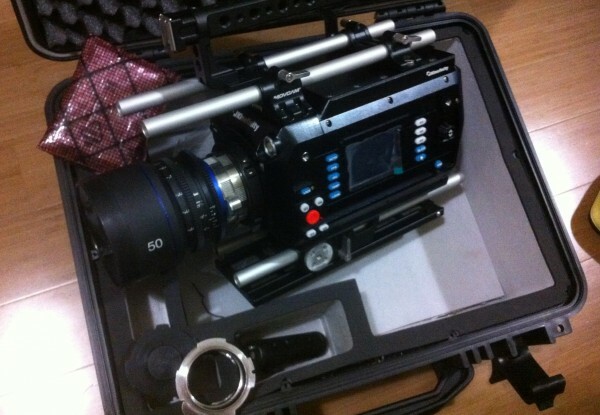 All the main shooting parameters can be adjusted and I’m looking forward to testing this out. As our technical editor Matt Allard clearly demonstrated with his shooting on the pre-production model, the camera is clearly very capable. One thing he did observe is that the S35 is quite prone to rolling shutter (or skew) effects. To combat this Kinifinity are working on something they call ‘Sport mode’. Quite how it works is unclear but it will also offer increased frame rates up to 50 fps in 2K quality. Kinefinity say that to do this image quality is degraded a little and latitude is slightly reduced (by less than 1 stop). For me the biggest advantage of the S35 camera is its use of the Cineform codec from GoPro. 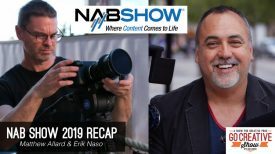 When combined with GoPro Cineform Studio Premium software it offers a very quick and simple way to work with RAW footage within your favourite editing software – such as Final Cut or Adobe After Effects. Using the Cineform Studio Premium’s Firstlight interface you can make adjustments to the RAW image and have it immediately apply to the footage open in your editing software or even a Quicktime preview. You can also load Look Up Table (LUT) info automatically from the LUT the camera uses. Very impressive – this is how RAW editing should be. It means that when editing you have a much better idea of what the footage will look like graded. You can then use this as a basis for further professional grading or simply tweak it and export as a finished project if you are pushed for time. (The only fly in the ointment is that currently DaVinci Resolve does not carry through all RAW adjustments done in Firstlight, although in my experience most DaVinci colourists would prefer to work off the original footage anyway). 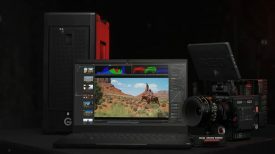 Talking of DaVinci Resolve, Kinefinity have come to an arrangement with colourist Denver Riddle of Color Grading Central to offer video tutorials as part of their camera packages. There are no firm details of what this will cost as yet, but I am told it is competitive.